So recently, I got some new stamps (not new-new, but new to me) and I couldn't wait to play around with them. This first card was super quick and easy. Just simple stamping with some colorful circles added with Distress Oxides and a stencil. Couldn't be easier. I also made a mini card using the same stamps. The background was done by blending ink over the card and then going over it again with the same color and a stencil. Aren't those dim sum stamps adorable? The stamps are Dim Sum Fun and Sketchy Letters from (Mama Elephant) and the sentiment is from Warm Fuzzies (Essentials by Ellen). I will be posting more cards later this week, and I hope you stop by again! Welcome back JJ! We missed you! 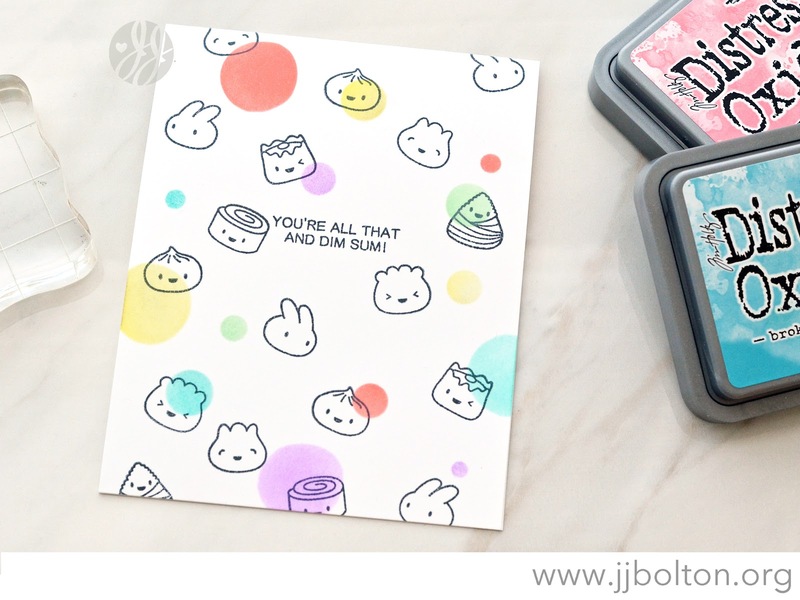 Your dim sum cards are so so cute!! These are adorable!! Welcome back!! Happy to see you crafting again JJ! I missed you too! These dim sum are so cute! 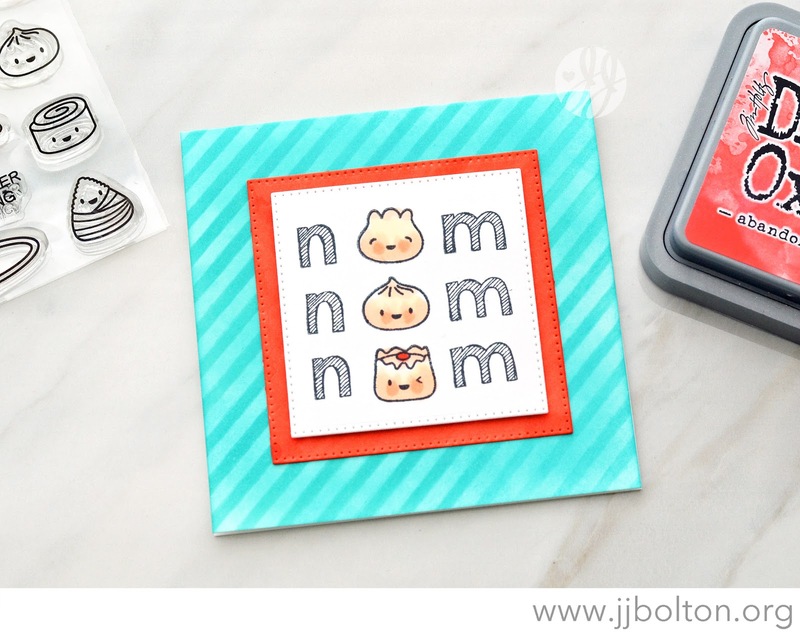 I love the way you colored them with the stencil - they look so fresh and fun! Two super cute cards, JJ! Love these. And love that you're crafting again! Hi JJ! Welcome back...I've missed seeing your fabulous cards! I love how you stamped the images and added all those fun colored circles on the first one, and how you paired your stamp sets on the 2nd card...so fun!! !